A Pirate princess party package features a pirate and one or more princess characters or a mermaid entertaining the children and guests at your event. 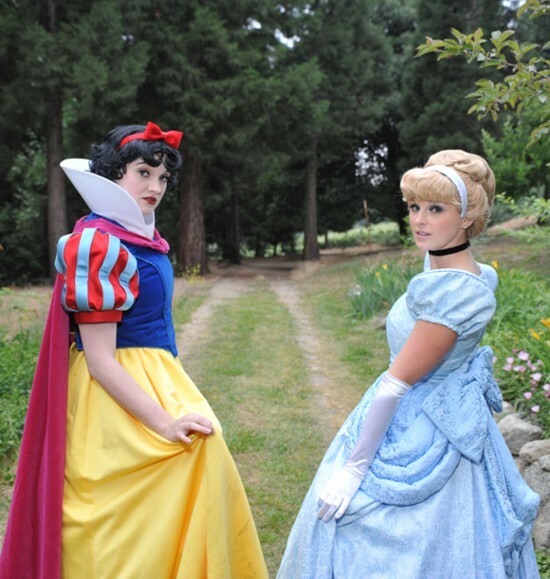 The princess characters we feature are Cinderella, Snow White, Sleeping Beauty and the Little Mermaid. Our pirate and princess characters are experienced children's entertainers. Each Princess character entertainer will tell her story to the kids and bring out the inner princess in all the girls with glitter face painting, and colorful streaks in their hair. The children will sing the princess's song and learn the princess dance. Call us when you want only the best. Princess characters can be paired with pirates like Captain Parrot Jack and other pirates to have a Princess Pirate Party. You can have a princess and pirate party to satisfy the most rough and tough boys and the most beautiful and glamorous princess girls. The ultimate princess party is the grand production princess party which features pirate decorations and a catered high tea luncheon for the children.